Boba Fett Rum, coming soon! Pretty slick, eh? 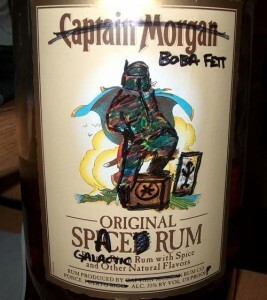 I hear the rum still tastes like Captain Morgan, so don’t get too excited. More tomorrow! I Live in St Croix USVI and the Diagio Group who makes Captain Morgan Rum has relocated here from Puerto Rico. We Press ganged them to P.R’s Dismay an they ain’t happy, P.R that is!